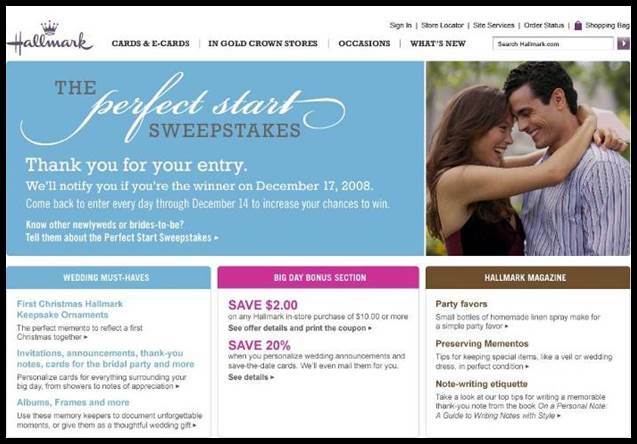 Create a Perfect Start microsite and sweepstakes capturing names of consumers getting married. Consumers entered to win $5,000 while interacting with Hallmark’s new wedding product line. The entry page had the third highest weekly traffic on Hallmark.com behind Birthday and Christmas. The entry form had a 70% completion rate.